The first thing that you need to do is to learn about drilling. There is so much about drilling other than sink the auger attachment into the soil. You need to learn about the various types of drilling and what is needed to have for each. For instance, if you are planning to foundation drilling, you need to know the right foundation drilling tools for the job. 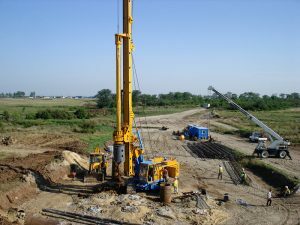 You also need to know the various types of foundation drilling. If you are doing common drilling such as in domestic uses, you need to learn more about the available options and what works for you. Such theoretical information is crucial for starters. With that information, the second thing you need to work on is the machine. Get the right auger attachment for the job. If you want to do normal poling or fencing, then you should get the best kind of teeth that suits the condition. Similarly, if you want to do foundation drilling, then you need to buy the kind of machine that can deliver in such conditions. It is also recommended that while choosing the drilling machine, you check the availability of their wear parts. If you go for a certain foundation drilling machine, check if their foundation drilling tools will be available. With the right information and the drilling machine, it is now time to put everything into practice. The trick is to start small as you gradually go up. Don’t make a mistake of starting off with the tough jobs. If you are in the foundation drilling, then you should start with small project projects. This is important because of experience matters. To drill like a pro, you need that field experience. Start small as you go up. That will help you to gain experience faster, and within a short, you be drilling like a pro.